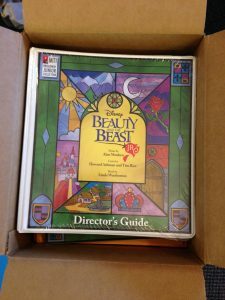 Disney's Beauty and the Beast JR Showkit | Join the cast for 2016-17! 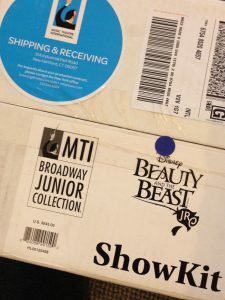 We’ve just received our Disney’s Beauty and the Beast JR Showkit! We can’t wait for our next season of Musicals to start next week! It’s just so exciting to have all of the materials here, ready and waiting for our students. Have you enrolled yet? 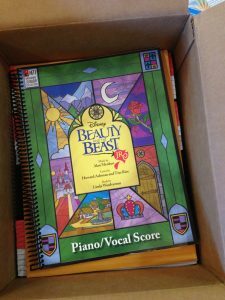 We’ll be performing Disney’s Beauty & the Beast JR at the Clarke Theatre at the end of April, 2017. 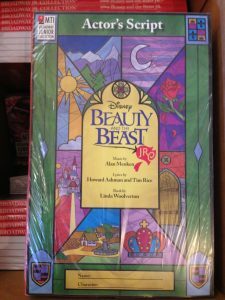 There’s still time to join the cast! 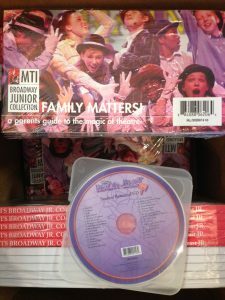 Sign up now for Junior Musicals (ages 7-10) and Senior Musicals (ages 11+).